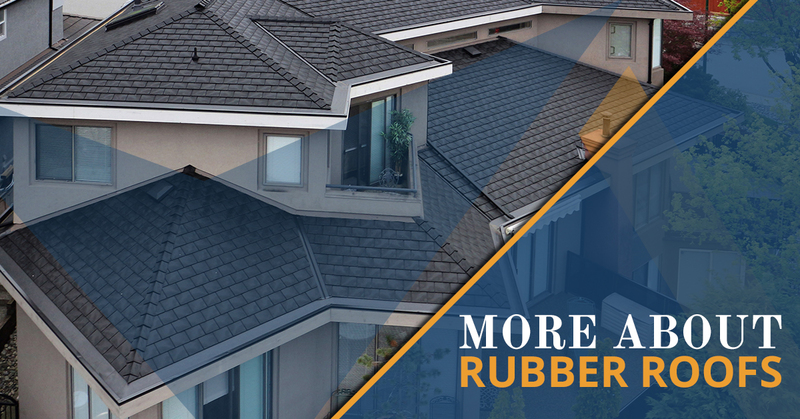 Rubber roofing is a great choice for residential and commercial uses. You can replace an old roof or use rubber roofing in new construction. We’ve answered a few frequently asked questions for you here. Please don’t hesitate to give us a call to learn more. We’d be happy to answer additional questions or visit you at your home for a consultation. We’ll be sure to bring some material samples. When compared to traditional roofing materials, there is no question that rubber roofs offer significant environmental benefits. Cedar shingles used to come from old growth trees. The wood was strong and durable, and so were the shingles. It wasn’t unheard of for cedar roofs to last more than 50 years. Harvesting strong old-growth trees is no longer sustainable so any cedar shingles you buy today are likely harvested from immature trees that don’t have the strength to stand up to the elements for anywhere near 50 years. Rubber roof shingles, in contrast, are made of almost entirely recycled materials, are extremely durable, and can be repurposed at the end of their lives. Keep reading to learn more. Rubber roofs are quickly becoming a top choice for commercial builders seeking Leadership in Energy and Environmental Design (LEED) certification for new construction or remodeled spaces. The LEED certification program is based on points. A LEED-certified building must score a minimum of 40 points on the LEED scale. The rating system goes all the way up to 80+ points for Platinum certification. If the building process used takes an integrative, design-build approach, builders can earn one point. Choosing to build in a designated neighborhood development location can earn builders up to 16 points. It is a pretty complex certification process, but one that more and more builders are finding worthwhile. Euroshield rubber roofs contain approximately 95 percent recycled materials. Seventy percent of each shingle is made from recycled tire rubber. They reuse scraps and trim from the manufacturing process. They can be recycled or repurposed again once they are removed from your roof. The Euroshield rubber roofs we install can earn builders up eight points. There isn’t anything that stands up to the weather like rubber roof tiles. Here in Alberta, that’s especially important. Euroshiled rubber roof tiles installed by Golden West Exteriors do not crack. Period. They’ve been certified to withstand wind uplift and wind-driven rain above 170 KPH. They do not peel or curl in the elements like other roofing materials. The top hail rating available for a roof is class four for impact. Euroshield roofs have attained that rating and are guaranteed to withstand hail up to two inches in diameter! Colors are true. They run all the way through the material to reduce fading. Walk on your rubber roof all you want. You won’t damage it or void your warranty. Sometimes, seeing is believing. Just give us a call, we’ll bring out some samples. Once you’ve had a chance to see, touch and hold the shingles, you’ll begin to understand how they can meet such high standards. You aren’t imagining it. Your new roof does smell a bit like a giant rubber tire. That smell goes away very quickly once the rubber tiles have been exposed to the elements. They’ve been packed up, safe and secure from the sun and rain, so that “new tire” smell hasn’t had a chance to dissipate. We think you’ll be pleasantly surprised by the different style options rubber roofing shingles offer. They don’t look like recycled tires. Rubber shingles mimic the look of slate and shake shingles. Choose a hand-split or taper-sawn wood shingle look, or make your selection from a number of slate-look shingle options. If you’d like to learn more about rubber roof shingles as an option for your home or commercial building, give us a call. We’re here to answer all of your questions and are happy to come out for an on-site consultation.